Scoring and winning. Those were two things you could count on throughout the remarkably consistent playing career of Katie Smith, from the time she was just a girl in Logan, Ohio, until she played her final basketball game in the WNBA in 2013. She ended her career as the all-time leading scorer in women’s professional basketball in the U.S. and the WNBA’s career leader in made 3-pointers (though she was later passed in both categories by longtime pro rival and USA teammate Diana Taurasi). Smith won four championships in the American Basketball League and WNBA, along with three Olympic and two World Cup gold medals representing her country with USA Basketball. She was a seven-time WNBA All-Star and was named one of the best players in WNBA history on the league’s 10-, 15- and 20-year anniversaries. Enshrinement in the Naismith Memorial Basketball Hall of Fame came for Smith in 2018 during her first year as a head coach with the New York Liberty. Safe to say it was a weird year for Smith, too, because while she was enjoying the highest honor a competitor can achieve, she also was dealing with losing on a regular basis. The Liberty finished the year 7-27 with 13 consecutive losses. The only other year in Smith’s career in which she endured losing at a similar rate happened when her Minnesota Lynx went 10-22 in 2002. Smith was known as a fierce competitor during her playing days, and that hasn’t changed just because she’s no longer in uniform. She said she discovered during her three years as an assistant for the Liberty before becoming head coach that coaching is something you’re always doing. She said as a player she used to be able to leave basketball at the arena at the end of the day, but as a coach she is constantly thinking about how she can help her team and her assistant coaches get better. Smith also is one of the most accomplished players in international competition as well. In addition to her combined five Olympic and World Cup gold medals, she also helped USA Basketball win a World Cup a bronze medal among her 11 medals earned at various international competitions. Her first experience with USA Basketball came in 1993 when she was a member of the USA Junior World Championship (U19) team that went 5-2. She went on to be a part of 25 different USA Basketball teams. Since becoming a coach, Smith said she has leaned on her experiences as a player frequently to guide her decision-making and how she approaches different situations. Smith is spending the winter months dealing with free agency, qualifying offers and salary cap issues in her role as coach with the Liberty, but she continues to do important work for USA Basketball as well. Smith and former NBA player Chauncey Billups serve on the USA Basketball Board of Directors as player representatives, looking out for the best interests of the players at all times. 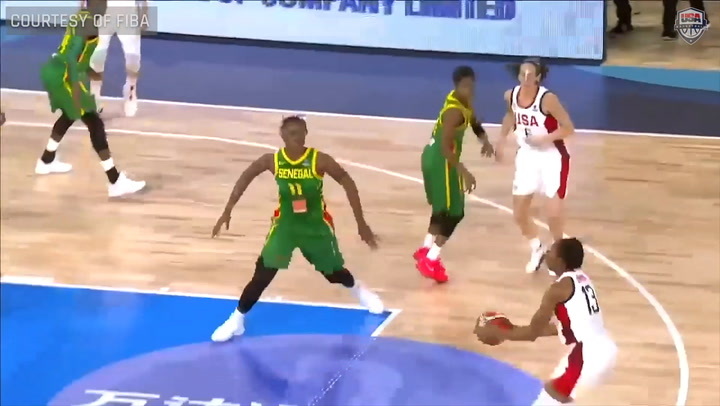 Smith said she enjoys the opportunity to see everything USA Basketball does from a completely different perspective than she did as a player, and serving as a voice for the athletes is important to her. 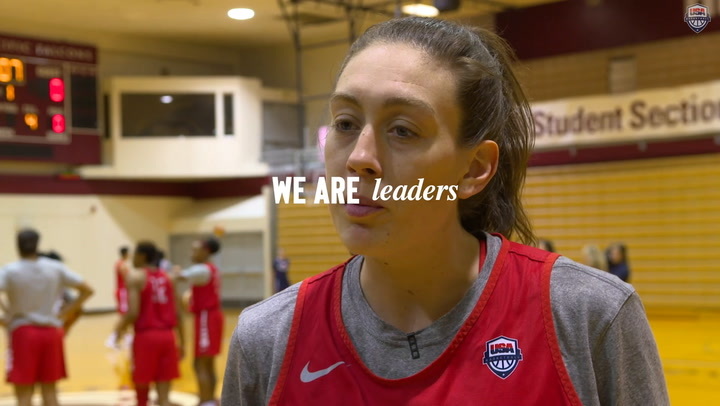 She remembers in her early days with USA Basketball staying in dorms at the United States Olympic Training Center in Colorado Springs, Colorado, and making new friends with other young women from all over the nation. 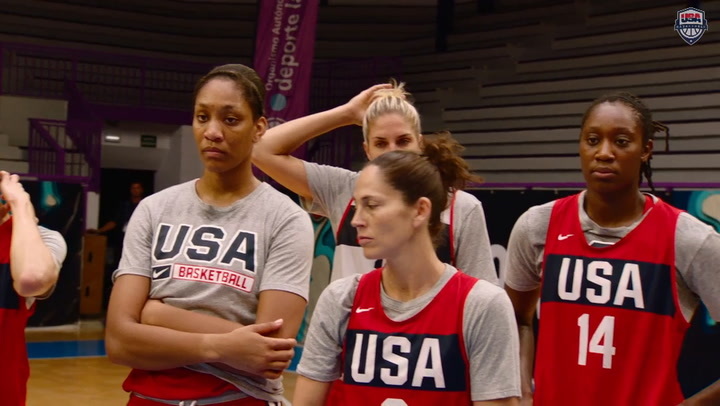 Smith said through her entire career some of her most special memories came while representing USA Basketball. Winning her first Olympic gold medal in 2000 in Sydney, Australia, is right at or near the top. “The first one was truly special, just because you thought about it and then all of sudden you made it, and you’re like, ‘What?’” Smith said. “It’s really kind of an unreal moment to think you’re there, and you just won a gold medal.